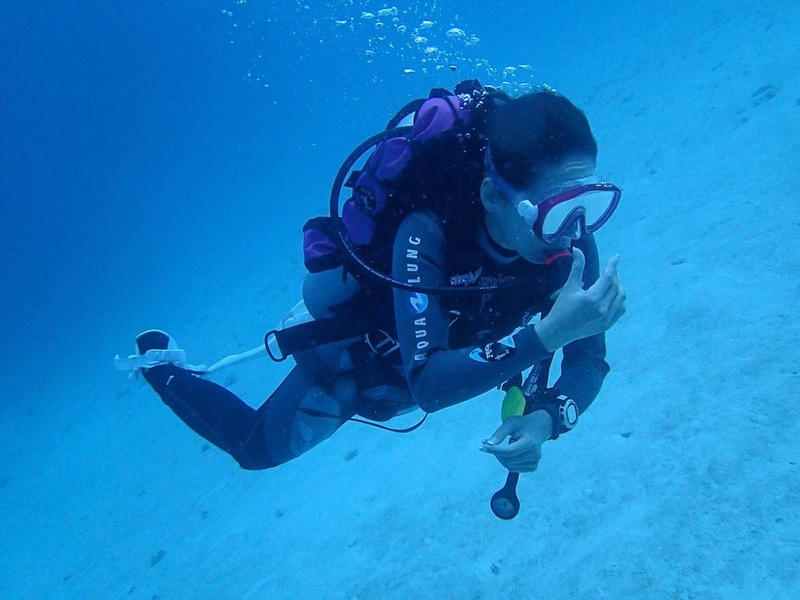 BCD - Buoyancy Control Device: A vest used to attach your equipment and to control your buoyancy. It has a bladder that can be filled with air from the tank. The air can later be released though a valve. "Octopus": Distributes air from the tank via a primary regulator to secondary regulators (mouthpieces), BCD and pressure indicator. Clothing: A wet suit keeps you warm and protects against scratches if you bump into sharp corals. The sea in Maldives is warm, so dive skin or T-shirt and shorts can be used without risk of hypothermia. Additional protection are hood, boots and gloves. Safety signal tube: An inflatable "sausage" that is deployed to the surface. It marks the position of the divers before they ascend to the surface. Before you buy your equipment, check reviews on internet and take your time in the shop to be sure that it really fits you. 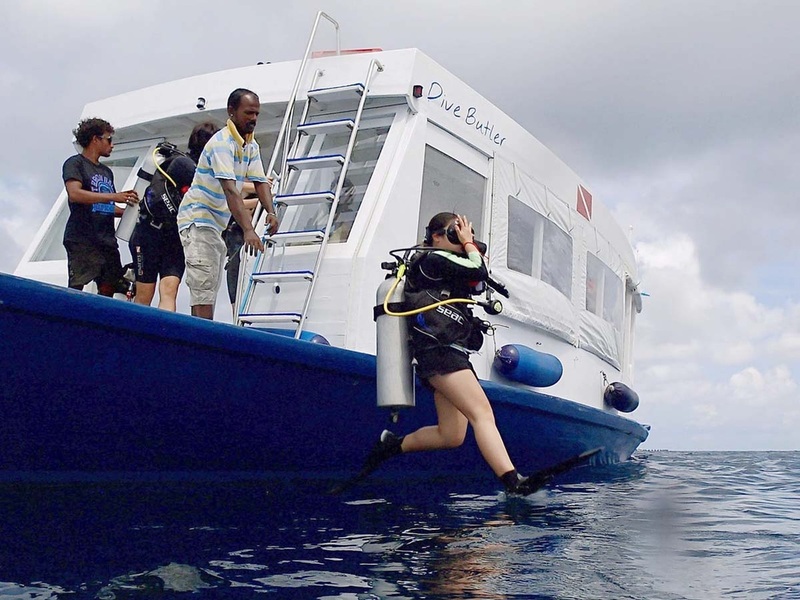 A complete set of dive gear is quite expensive, so unless you are going to dive a lot, you can rent it at the dive center. My recommendation is that you at least have your own mask, snorkel and fins.